At Beaver Creek Vineyards, our approach is simple: "Let nature create the wonders and we will work hard to support and enhance her efforts." With this credo as a guiding principle, Beaver Creek Vineyards strives to make wines of utmost quality borne from viticulture practices that are in alignment with nature. Beaver Creek Vineyards is an eco-friendly, organic and biodynamic certied boutique winery specializing in limited production, estate wines as well as select wines from exclusive organic or biodynamic certied vineyards. Harvests are done by hand, choosing only the best grapes for Beaver Creek wines. The same caliber of organic practices present in our vineyards, also take place in the cellar. Our winemaking process is completely natural with no additives whatsoever. With the goal of creating the purest wines possible, Beaver Creek wines are hand crafted from beginning to end and meticulously aged in French Oak barrels. We focus on small-lot winemaking, giving exceptional care and attention to our region and Vineyard Designate wines. Our passion is Cabernet Sauvignon- the noble variety of Bordeaux that demands a delicate, labor intensive process that showcases the terroir and complexity of Lake County and beyond. A devotion to creating the best nature has to offer drives Beaver Creek to produce wines that are a true, pure, and holistic expression of life. The vitality that is embodied in our wines is part of a healthy lifestyle we wish to share with others. In 2007, Martin Pohl and his then partners discovered Horne Ranch, the home of Beaver Creek Vineyards. Their vision for a sustainable, organic, and biodynamic vineyards and winery was a symbiotic fit for the natural beauty and bounty of Horne Ranch. After careful planning and impeccable execution, the existing vineyards were meticulously converted to organic and biodynamic farming practices. The CCOF certification was received in 2009 and in 2010 the Demeter Biodynamic certification followed. As part of this process, Beaver Creek Vineyards became home to a variety of animals and gardens that support the organic and biodynamic processes: chickens, sheep, bees, olives, and a walnut orchard all contribute to the vitality of our wine. 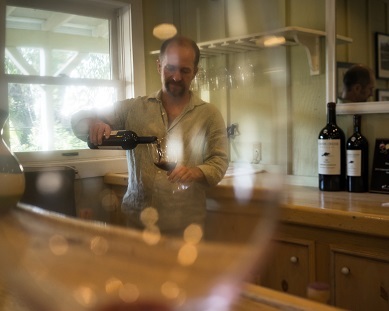 In 2012, Beaver Creek Vineyards underwent structural and management changes resulting in Martin Pohl remaining as proprietary grape grower and vintner. Originally from Czech Republic, Martin brings old world wisdom to modern day wine making. His passion for organic and biodynamic winemaking and the creativity he brings to it are unparalleled. Martin is devoted to sustainability and caring for the environment while creating a product of the utmost integrity. It is his mission to educate people about the differences in organic and biodynamic winemaking and how it contributes to a healthy life style. In September 2015, the Valley fire eswept through Lake County and devastated the Middletown area. While most of Beaver Creek Vineyards was spared catastrophic damage, a portion of our organic and biodynamic vineyard was lost. Martin is enthusiastic about the opportunity to plant new vines in the wake of the fire. The variety will be Petite Sirah and Cabernet Sauvignon. First harvest is expected in 2018.